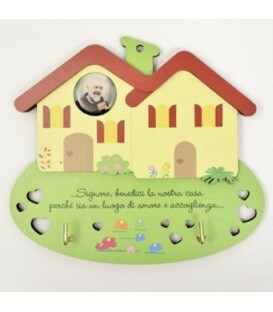 TEN ROSARIO FORMED BY SMOOTH BEANS ROUND PLASTIC COVERED BY COTTON AND WORKED spaced BEADS IN METAL. TYING ROPE AND CLOSURE WITH HOOK. 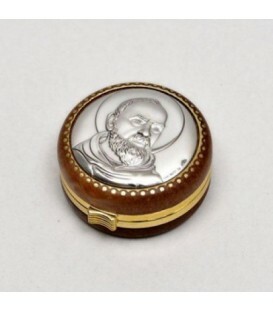 Pendant A GUARDIAN ANGEL SHAPED METAL AND MEDAL PENDANT OVAL WITH PICTURE PRINTED IN FOUR RESINATED REPRESENTING SAN PIO. ELEGANT GIFT OF A CYLINDER FORM. TEN ROSARIO GLASS, MADE FROM BEANS ROUND SMOOTH spaced METAL PLATES. TYING ROPE. 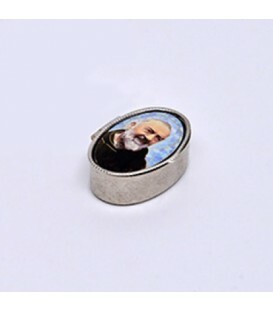 Pendant A GUARDIAN ANGEL SHAPE WITH STYLIZED IMAGE PRINTED IN FOUR RESINATED REPRESENTING SAN PIO. ELEGANT GIFT OF A CYLINDER FORM. Avoriata paper rosette. 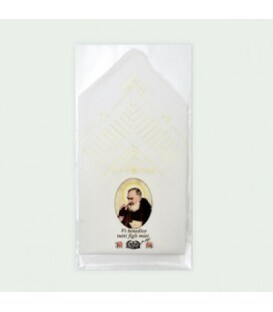 Process-color printing of the image depicting Padre Pio and his "thought". Lace made with crochet yarn sole head of cotton, Ribbon and satin bow. Cotton handkerchief. 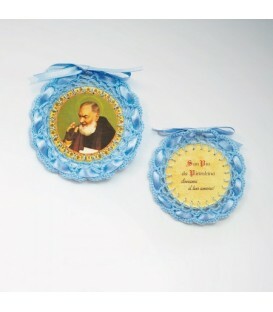 Machine embroidery and printing in full colour image depicting Padre Pio and his thought. Oval gilt metal box. 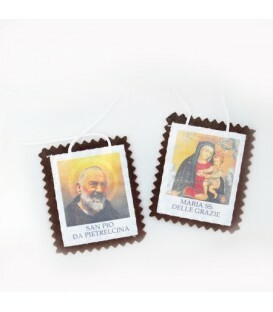 Process-color printing of the image depicting Padre Pio. Internal removable casing in white PVC. Square shaped wooden Hut. Process-color printing image depicting resin St. Pius. Golden metal supports can be used as appendichiavi. 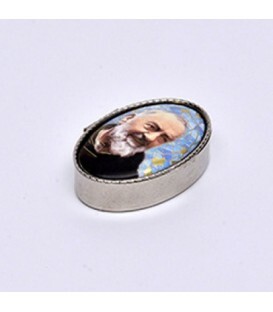 Pencil round section with a pointed end, and a graphite compound opposite end consisting of a PVC casing depicting the image of Padre Pio printed in four-color resin. 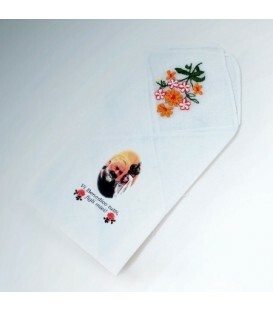 Cotton handkerchief. 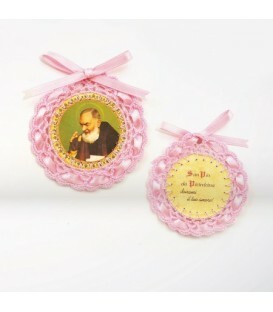 Machine embroidery and printing in full colour image depicting Padre Pio and his "thought". 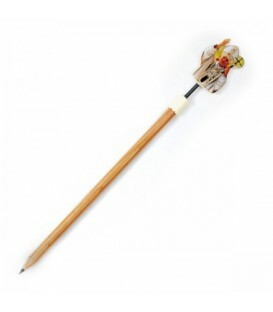 Pencil round section with a pointed end, and a graphite compound opposite end consisting of a PVC casing depicting the image of Pope John Paul II printed in four-color resin.